Young Zoé is bored; her parents, distant and apathetic, ignore her. Her life has lost all meaning. 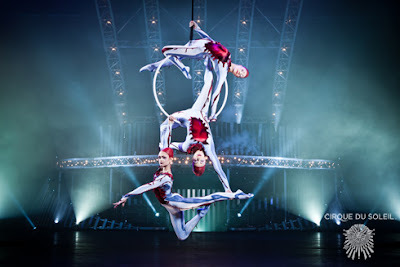 Seeking to fill the void of her existence, she slides into an imaginary world—the world of Quidam — where she meets characters who encourage her to free her soul. Quidam: a nameless passer-by, a solitary figure lingering on a street corner, a person rushing past and swallowed by the crowd. It could be anyone, anybody. Someone coming or going at the heart of our anonymous society. A member of the crowd, one of the silent majority. The one who cries out, sings and dreams within us all. 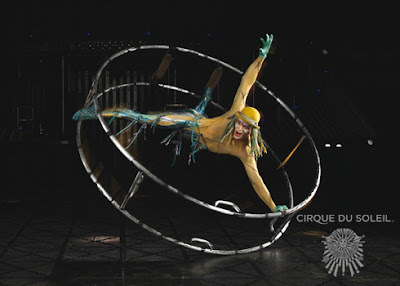 This is the “quidam” whom this show allows to speak. This is the place that beckons—a place for dreaming and genuine relations where all quidams, by proclaiming their individuality, can finally emerge from anonymity. Currently playing at The Mohegan Sun Arena, Cirque du Soleil's Quidam, displays the magic that accompanies the ability to imagine. The storyline follows a young girl who escapes her mundane life, through imagination. You'll be captivated as the seemingly impossible unfolds scene after scene. With several awe inspiring acts, a gorgeous soundtrack ( the live music is spectacular), a great deal of audience participation, and lite bursts of comedy, Cirque du Soleil's Quidam is one magical performance you won't want to miss! DISCLOSURE: Access to the event was provided for review purposes. I am not required to write a positive review. The opinions I have expressed in this post are my own. I am disclosing this in accordance with the Federal Trade Commission’s 16 CFR, Part 255.